what type of fish, size tank, etc.? 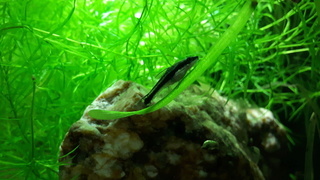 Our first fish were black skirt tetras. We bought a 10g and brought in 4 skirts. We chose them due to their brilliant appearance and, of course, their perfect coulouring of black and white - plus, there is just something about them that yells "gorgeous"!. We quickly learned that they needed more space...and more buddies, as they tended to 'hover' in the corners. Eventually, we transferred them into a 55g tank and added several more black skirt friends. No more hovering! We now have many tanks running with a few different fish - but I will always cherish these guys - they were our first finned-babies! They taught us so much and we have done our best to love and care for them! Re: What was (is) your first fish? My parents bought a second hand tank with fish. 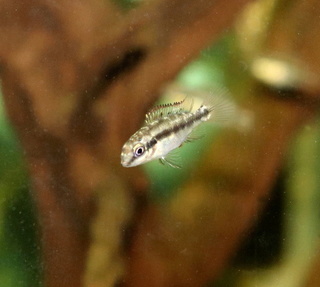 I know there were guppies in it, but because I remember her, I consider my first fish to have been a female marble molly. Her name was "Molly". Hey, I was 8 years old. I was 8 or 9 when I got a 15g and about a dozen guppies. Wasnt long before I had hundreds. I sold them to a local pet shop. One day I saw a neat fish, guy says "thats an Oscar, you need a big tank" My older bro, who had Angels and Discus, built me a tank, something in the 60-70g range. I had my first Oscar! He lived 14yrs. I have never been without an Oscar in the mix of literally hundreds of fish I have kept over the years. Currently have 5. 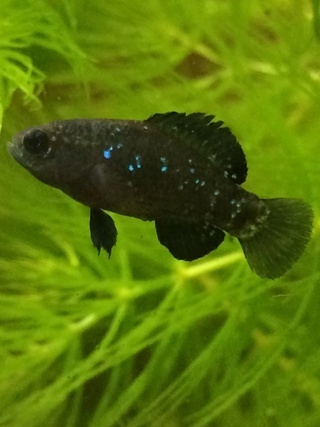 Maybe still my favorite cichlid. I think when I was a kid I was bought a goldfish then later it was Sunfish I caught out of a local pond. My first fish where my fathers bait. He use to catch saltwater minnows for trout fishing. 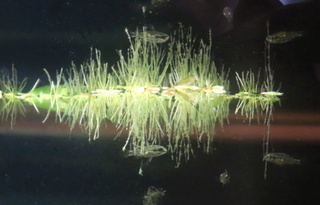 Believe they were fundulus heteroclitus, only took me 25 years to get back into killifish. I was 10 years old when I got my first fish and of course they were guppies and that spread to other live-bearers as over the years. The first tank was a ten gallon tank. I was brought into fish keeping by my grandpa who was hobbyist and had a full fish room set up in 70's and ran right to his passing in 2010. He had taught me many thing over the 17 years we were in the hobby together and I learned about fish breeding, tank maintenance and many other things very early on and I was always impressed by him breeding neons in fairly large numbers. He taught me a lot and has forever peeked my interest in this hobby. After his passing he had it set up so everything in his fish room went to me. 22 years later I am still going strong in this hobby and never stop learning and still loving the guppies. Getting back into the hobby after a number of years, I ended up getting zebra danios. We had a trio for a long time, and I only recently lost the last survivor a while back. He must have been about 4+ years old.